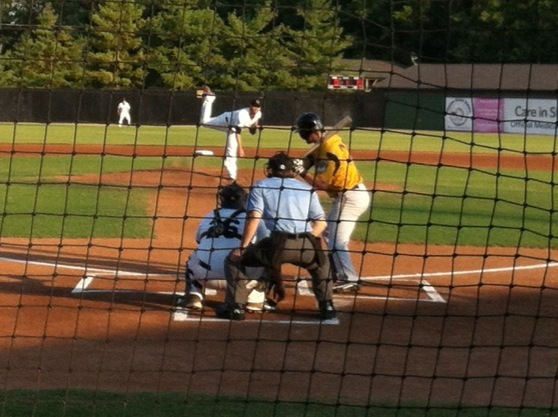 On September 1st, I attended a River City Rascals game in O’Fallon, MO west of St. Charles. While St. Louis is certainly a baseball town, people don’t talk much about the Frontier League River City Rascals, probably because they play in a lowly minor league that is unaffiliated with MLB and play way out in St. Charles County. 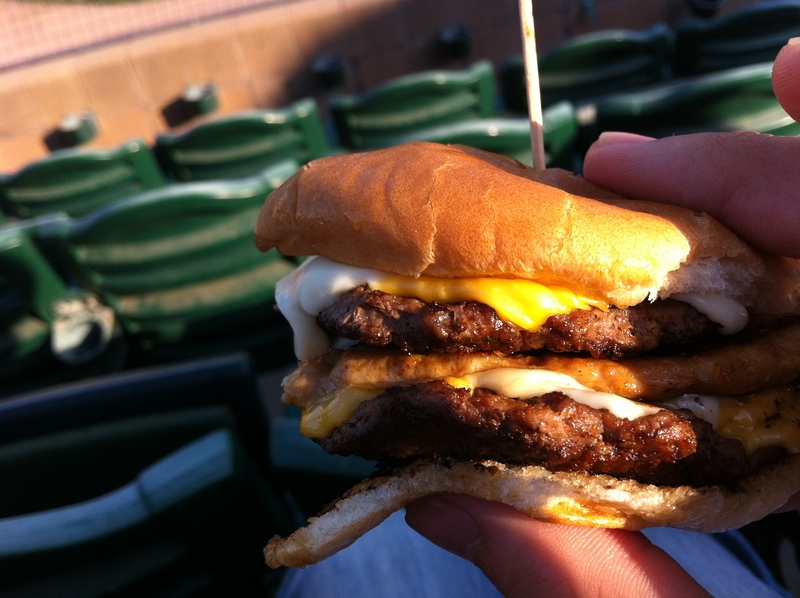 But for what they lack in number of fans, skill, and a legacy, they make up for in atmosphere, heart-stopping food, ridiculous promotions, and $6 seats behind home plate. The day I went was the Diamond Dig. After the game, all fans can pay $3 for a Popcicle stick to use to dig up a pair of $1500 diamond studded earrings buried somewhere in right field. In between innings, the Rascals had a sumo wrestling match between fans, a dizzy bat race, a dance off, a froyo eating contest out of dog bowls (sponsored by Purina), and more. I was actually looking forward more to the contests than the baseball especially because the announcer’s voice sounded exactly like Jason Sudekis from Saturday Night Live. The Arch Nemesis burger, 2 patties with a chicken breast in the middle and 4 pieces of cheese!! !